Paul has particular expertise in the handling of probate matters. Taking a careful and thorough approach Paul ensures that an individual’s wishes are expertly carried out. Paul has joined a strong, established team that believes that there is no such thing as ‘one size fits all’. Clients are treated as individuals, recognising that they each and have different needs and concerns, worthy of advice from experienced and knowledgeable practitioners. All the solicitors at Jobling Gowler are specialists in their field, recommended for the quality of the advice they provide. Like Tessa, Paul is a member of the Society of Trust and Estate Practitioners. STEP is a highly regarded professional body requiring a significant level of expertise from its members. By instructing a solicitor at Jobling Gowler, our clients can be assured of getting qualified, experienced and specialist advice of the highest quality. It is the team’s goal to carry out your wishes in such a manner that leaves you, the client, feeling that a weight has been lifted from your shoulders. 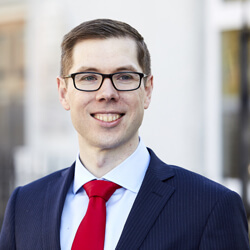 For more information about the kind of work undertaken by Paul Clark please download the following information sheets regarding Intestacy (Dying without Making a Will) and The Probate Process.